Nestled in San Francisco Bay, on the Californian west coast of the U.S., San Francisco is a metropolis burgeoning with art, culture, business enterprises and unrivalled scenery. Populated by over 800,000 residents, San Francisco welcomes tourists to its golden beaches, diverse architecture, and iconic landmarks. Popular attractions include the Golden Gate Bridge, Fisherman’s Wharf, and Alcatraz. Discover the spirited jewel of northern California with cheap flights to San Francisco! San Francisco is home to San Francisco International Airport (SFO), which is a 20-minute drive from the city. SFO serves many airlines, including Delta Air Lines, American Airlines and KLM. Popular connecting flights to San Francisco depart from Cape Town and Johannesburg. The flight duration from Johannesburg to San Francisco is approximately 23 hours and 55 minutes. San Francisco is teeming with both historical and modern attractions. Brimming with history, dating back to the Gold Rush, some of the most iconic landmarks include the Golden Gate Bridge, Alcatraz, and Palace of Fine Arts. The city’s wealth of theatres, festivals, restaurants and live music venues complements its flourishing arts scene and nightlife. Be sure to visit Haight-Ashbury, Chinatown, and the Castro. Stroll through the picture-perfect gardens and parks, garnishing the city with colourful arrangements and scenic pathways. A climb up Twin Peaks will afford you panoramic views of San Francisco in all its glory. The ideal time to visit this gorgeous city is during the autumn sweet spot, between September and November. The summer tourist buzz will have quietened and hotel rates will be more affordable. With warm, sunny skies and undisturbed beaches, you can explore the city sites at your leisure. Be sure to catch the San Francisco Fringe Festival and Ghirardelli Chocolate Festival in September. During July and August, summer travel is at its peak, so places can become crowded and rates inflated. If you don’t mind the winter chills and heavy rain, between December and February is the cheapest time to travel, when flights and hotel rates are drastically reduced. “Fog City”, as it is affectionately known, San Francisco is one of the most iconic cities in the United States. Renowned for its eclectic architecture, historic neighbourhoods, and colourful arts scene, one day is not enough to explore the wonderfully diverse attractions this city has to offer. Nonetheless, there are a few landmarks that simply cannot be missed. The state-of-the-art California Academy of Science is an architectural marvel, with an aquarium, planetarium, natural history museum, and a four-storey rainforest all under one roof. See restored 19th-century ships lining the waterfront at Fisherman’s Wharf. 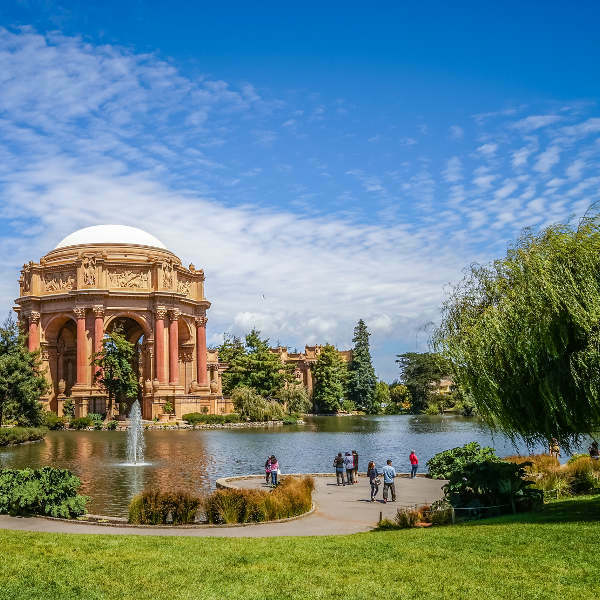 The spectacular Golden Gate Park boasts a network of trails, encompassing a Japanese Tea Garden and the de Young Museum. 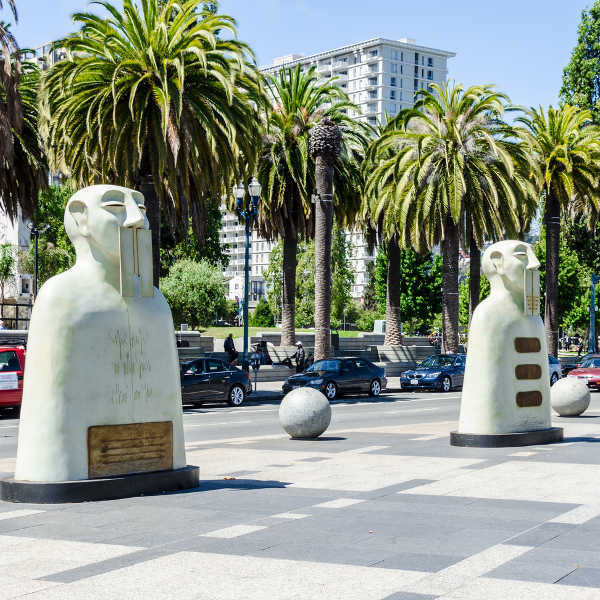 Lincoln Park is another green oasis, home to the California Palace of the Legion of Honor – hosting an impeccable collection of paintings and sculptures. The orange vermilion icon gracing San Francisco Bay, Golden Gate Bridge, is an impressive sight to behold; while a trip to Alcatraz Island gives you a glimpse into the lives and times of some of America’s most notorious prisoners. No trip to San Francisco is complete without riding in the historic cable cars, offering unrivalled views of the city. Unwind along Ocean Beach, with its golden sand and perfect sunsets. The juicy vineyards of Napa Valley are just a stone’s throw away! Compare several airlines, and book your cheap flights to San Francisco online at Travelstart! A US tourist visa is required for South Africans travelling anywhere within the United States. You’ll need to ensure your passport is valid for at least 6 months. Visa processing can take a few months, so leave plenty of time and ensure you have all the required documents. For further information, see the U.S. Embassy and Consulates in South Africa website and this useful guide on how to apply for your USA visa. The U.S. Embassy and Consulates are located in Pretoria, Johannesburg, Cape Town and Durban. San Francisco is a very safe city, although incidents of petty crime do occur. Pick-pocketing, and purse-snatching are common as in any other large city. Be careful on crowded Muni trains and buses, in heavily crowded areas such as Fisherman's Wharf, and during the busy holiday season. Some neighbourhoods to be cautious of include Bayview-Hunters Point, Visitacion Valley, Sunnydale, Potrero Hill, as well as the Tenderloin. When hiking through the fields in the Bay Area, check for ticks as there is a high rate of Lyme disease, though it is treatable.